A native of Riceville, Tennessee, Miller was in Plant City during 1912 to support the new Church of God mission. Although only 21, he was developing into a courageous and selfless minister of the Gospel. Two years earlier, he had accompanied General Overseer A. J. Tomlinson on an evangelistic trip to Florida, where he met Lula Williams. When Tomlinson’s team returned to Tennessee, Miller stayed in Florida to continue evangelizing and to court Lula. 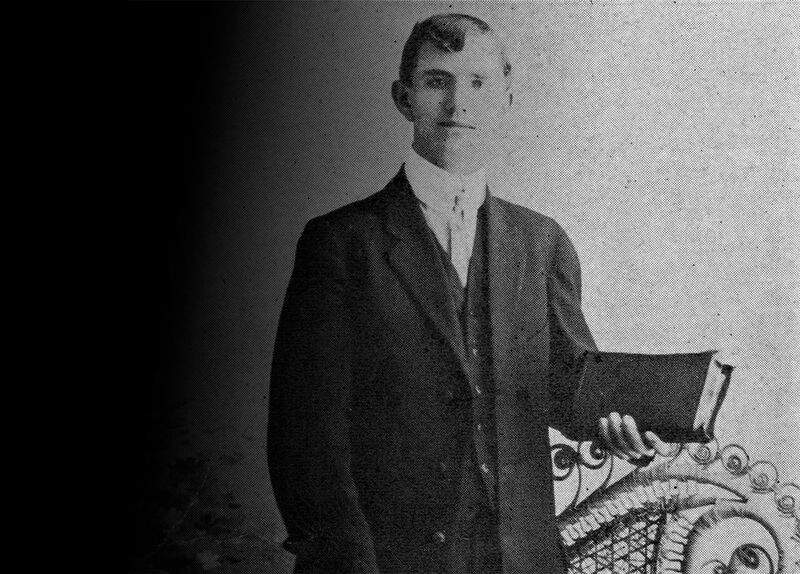 Then in February 1911, both Miller and Williams traveled to the Bahamas for 10 weeks with the Pentecostal Worldwide Mission Band. The 12 ministers took a tent, their Bibles, and musical instruments purchased from the Sears, Roebuck and Company mail-order catalog. I never heard a murmur or one word of complaint escape the lips of that noble, self-sacrificing boy. When one woman and her daughter received the baptism in the Holy Spirit, the mother’s son became very angry and publicly threatened to “whip” Miller if the services did not stop and Roy leave town. After Miller testified at the mission, “I am ready for whatever may happen,” he began walking leisurely toward home as any other night. The man who had threatened Miller suddenly attacked from behind a tree. Pushing Miller to the ground, the man savagely pounded him with his fists. Again and again, Miller attempted to escape only to be thrown back to the ground as the beating continued. As the Plant City Church of God celebrates their centennial in October 2017, they too testify that with God’s grace, they are ready for whatever may happen in their second hundred years. David G. Roebuck, Ph.D., is director of the Dixon Pentecostal Research Center on the Lee University campus.